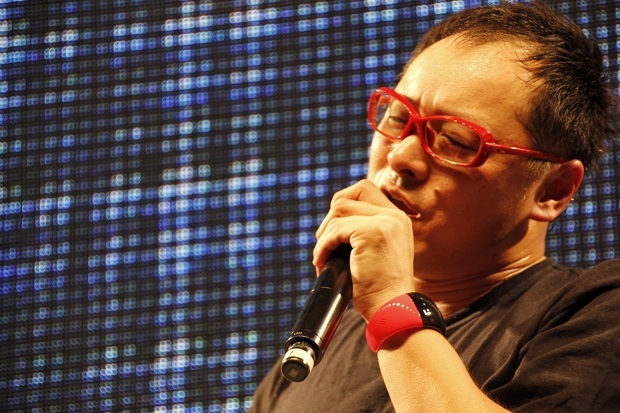 Takenobu Mitsuyoshi has been making music for SEGA for over 23 years now. As part of SEGA’s formidable S.S.T. Band, now known as SEGA Sound Unit [H.], he’s been the man behind the music for core SEGA series such as Virtua Fighter, Daytona, SEGA Rally and Shenmue. 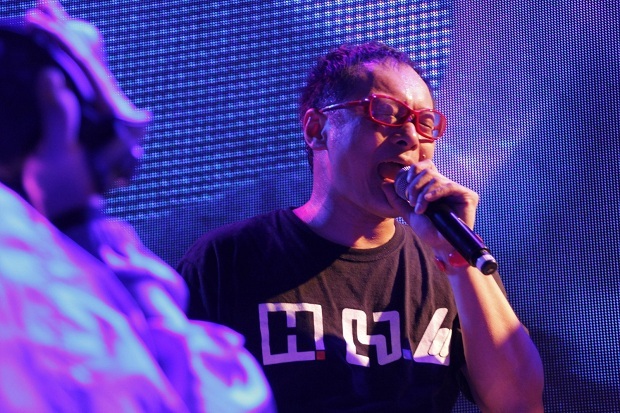 I caught up with him last month after SEGA Sound Unit [H.]’s yearly performance at the Japan Amusement Expo (previously AOU Amusement Expo) to talk about his career at SEGA. TSSZ: How did you end up working for SEGA? Mitsuyoshi-san: I prepared a demo tape that I submitted, and then I had an interview. I ended up getting hired. It was pretty standard! TSSZ: What was the first game you worked on? Mitsuyoshi-san: I’m not sure sure if you know it, but it was an arcade game called GP Rider. That was the first game I worked on. TSSZ: What do you think of the current direction of the arcade industry in Japan? Mitsuyoshi-san: Fundamentally, the Japanese arcade industry is not very strong right now. Rhythm and music games have developed and become popular, but I can’t really say that everyone is flocking to the arcades for them. Personally, I’m really happy that these music games are gaining popularity, but I think the industry can’t really be vibrant unless there are a lot of other interesting games coming out alongside them. TSSZ: How do you keep your music sounding fresh? Mitsuyoshi-san: There are many different types of games out there, and along with that there are many different genres of music like classical, rock, and jazz. I try to listen to music genres that fit the game I’m working on in order to get inspiration. I choose a musical genre for a game first. As an example, for Virtua Fighter I thought rock might fit, so I listened to a lot of rock music and used that as a base. It wasn’t to copy any specific song, though; it was for my own inspiration. TSSZ: You worked on a Daytona track for Ridge Racer on the PS Vita. What do you think of the recent trend of more and more crossovers between developers in the industry? Mitsuyoshi-san: Recently, developers have really been working together in order to make the industry stronger and bring more people to the arcades, so I’m thinking about what I can do in my career for that as well. Namco’s thinking the same thing, as is Konami. As I’ve been with Sega for 23 years, I’ve got lots of friends who work in other companies, and I can say to them, “Hey, we should work together on something.” There are a lot of overseas composers, like Jeremy Soule or Jason Hayes who I’m really hoping I can collaborate with in the future too. TSSZ: What’s your favourite song to perform live? Mitsuyoshi-san: The one we performed last today called “Ai ga tarinaize” is my favourite. It was used in the Virtua Fighter anime here in Japan. I’ve got a lot of memories wrapped up in that one. TSSZ: Do you have plans to perform again in the West? Mitsuyoshi-san: I really hope so. In the past I’ve played for PLAY! A Video Game Symphony in the US and at gamescom in Germany for the opening concert. TSSZ: Anything in particular you’d like to work on in the future? Mitsuyoshi-san: I’d like to work on something with SEGA of Europe as I haven’t had a chance to yet, but really anything SEGA wants me to do is okay! TSSZ: What has been your fondest memory during your time at SEGA? Mitsuyoshi-san: Daytona USA is the game I have the fondest memories of working on. I composed tracks for that game, and eventually there was a soundtrack CD came out. I wasn’t really a singer, but they let me do the vocals on it. That’s the project that has left the deepest impression on me. It also helped further my career. Thanks to Mitsuyoshi-san for his valuable time, and SEGA of Japan for very kindly organising the interview for us at short notice. 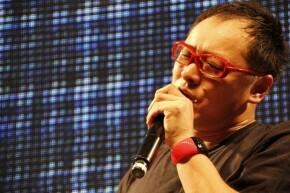 Mitsuyoshi-san’s latest CD, From Loud 2 Low SUN, has just been released and has almost sold out at the time of writing. He can be followed on Twitter in both English and Japanese. Interview by Danny Russell with John Rozewicki interpreting. Photos taken by Danny Russell and ©TSSZ.